Do you love the power of your EMS scaler (EMS-EN041) but don’t like paying the high price of a new one when the thread has been stripped or worn away? The good news is you don’t throw away your EMS scalers or your money. 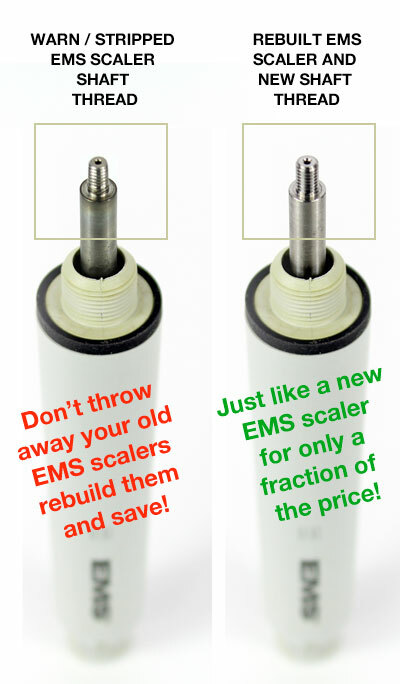 Get your own quality EMS scalers completely rebuilt with a new thread for a fraction of the price of new one and save! If you still want to purchase a new EMS scaler we recommend that you have at least 1 rebuilt with us and then see which one lasts longer. Unlike aftermarket copies (woodpeckers and the others), our rebuilds are done to the EMS manufacturing standards. Ensuring that you get value for money. We’re 100% confident that you’ll be completely satisfied with the rebuild of your EMS scalers and if you’re not just return your scalers and will refund 100% of your money. How can we be so confident? Simple. With over 10 years of rebuilding EMS scalers we have not had 1 dissatisfied customer and we’ve rebuilt 10s of 1000s of them. That’s right 10s of 1000s of them. In fact we’re finding it hard to keep up with the demand we’re getting so we apologise for the delay in advance. 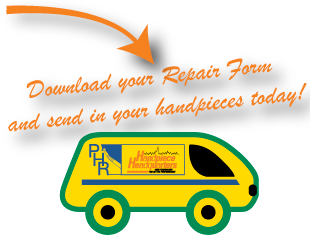 The news has spread internationally and we’re getting repairs sent to us from as far as Europe, UK and the USA! Back in 20011 we were very surprised after we received a box of EMS scalers for repair from a large dental practice in the USA. At first Joanna the practice manager contacted us to see if we were genuine about the rebuild service and once we had confirmed that we were they sent us a full box of EMS dental ultrasonic scalers. EMS / VARIOS / SATELEC Scaler not working? lost power, thread warn, water blockage or back/bottom pushed in? No problem! The amazing news is with our ADVANCED BREAKTHROUGH rebuilding technology you don’t have to throw away THOUSANDS OF DOLLARS and your EMS SCALERS. That’s right! Get your Original EMS scalers rebuilt at a fraction of the price of new ones and SAVE! SAVE OVER $400 PER SCALER! Call us on 1300 101 404 to find out more.